Today, Italy celebrates the 67th anniversary of its liberation from Nazi-Fascist dictatorship. I could enlighten you about this, indeed important, piece of Italy’s history; however on second thought, I am going to tell you about my own special anniversary. 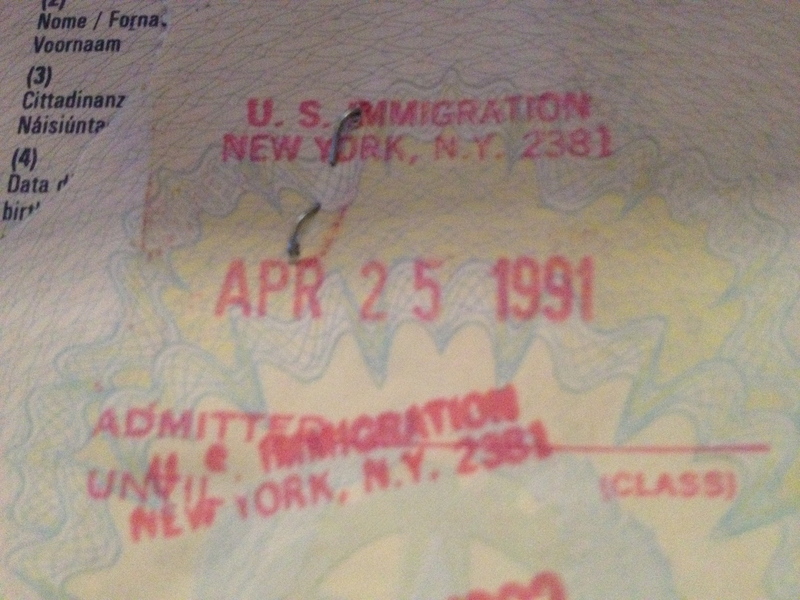 On April 25th 1991, my family’s journey to the United States started – my husband and I, and our two sons, respectively 2-1/2 years old and 3 months old. A journey that should have lasted 11 months, but guess what . . . it hasn’t ended yet! Anyway, back to my anniversary. In August 1990, my husband was offered a grant to work in cancer research in United States, for a period of eleven months. At that time, I was 4 months pregnant, we had a 21 months old son, and I was preparing to discuss my thesis to become an architect. Yet, I jumped at the idea and I started making plans. We were going to leave on April 25th 1991. By then, our baby would have been 3 months old, and I would have received my degree and completed my registration to the Board of Architects. It also seemed appropriate to depart on Liberation’s Day to assert our longing for something new. On April 24th 1991, the night before our flight to United States, we finished packing our six suitcases – thank God there were no luggage charges at that time! – plus one carrozzina (baby carriage), one passeggino (baby stroller), and three carry-on bags. To avoid the morning rush, we decided to park everything in my parents’ apartment building’s “sottoscala” – a sort of storage space below the first floor’s central hall; it was a safe place, or so we thought. 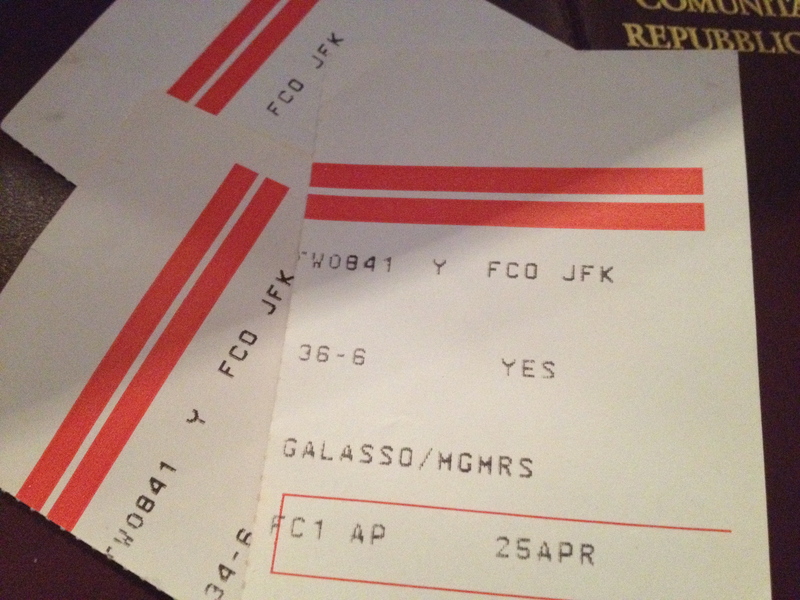 . .
On April 25th 1991, at 4:00 am, both my husband’s family and mine drove us to Rome Airport. The United States, at that time, was engaged in the Gulf War and many precautionary measures were taken at the airport. We were asked if our luggage had always been under our direct surveillance, of course we told the truth and guess what? Yes, all our heavily stuffed luggage needed to be inspected. . . the carillon was playing “Per Elisa”, the stuffed animals went flying on the floor, and so were my bras, books, and everything else. 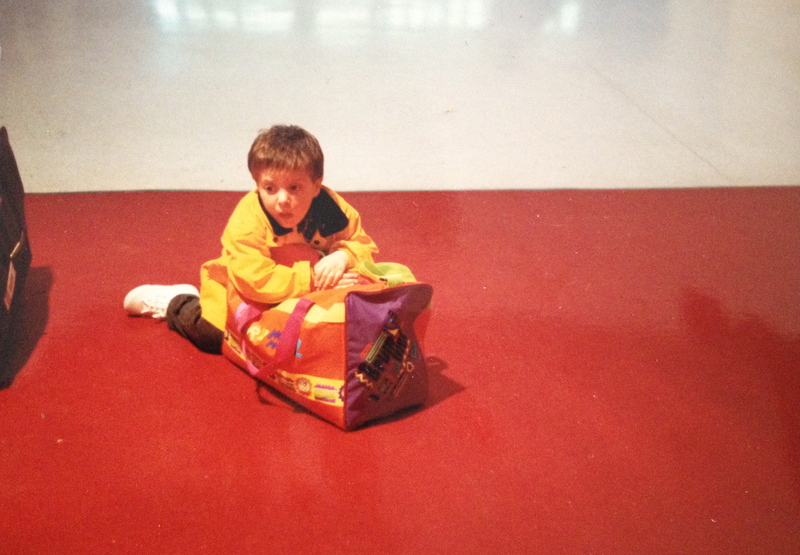 This was all happening while my two years old was horsing around at the airport, my baby was screaming for hunger, my husband was arguing with the security, and my relatives were witnessing the whole scene in disbelief. Then . . . it was time to kiss and say ‘arrivederci’. 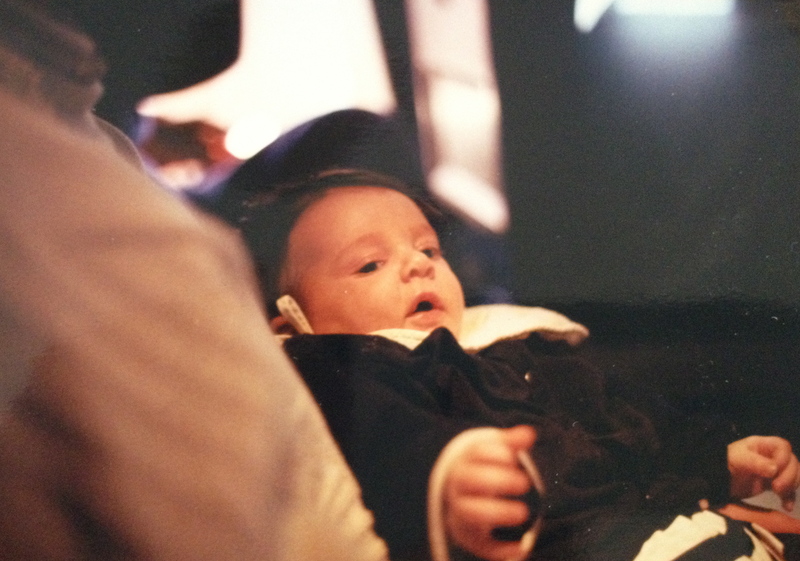 On April 25th 1991 at 6:30 am, we were on Flight TWA-0841 to JFK, New York. The flight was completely booked; no room for the baby carrier, our beautiful family of four was accommodated in the last row, just before the smoking section . . . no, I am not kidding! On April 25th 1991 at 2:30 PM we landed at JFK, our first stop in USA. After, a first horrible experience with the immigration service we were finally on our way to our final destination: Washington, DC. On April 25th 1991 at 7:00 PM we landed at Washington National Airport . . . that’s when it all started. A friend picked us up at the airport; of course he didn’t imagine he should have rented a U-Haul! 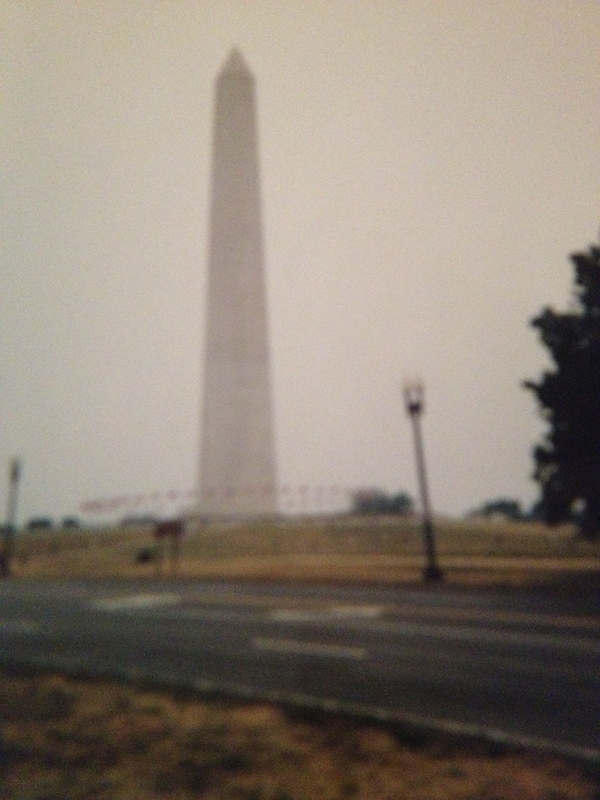 I remember driving the George Washington Memorial Parkway, the first view of the Potomac River, the Jefferson Memorial, and the Washington Monument . . . how beautiful! I knew then, that it was going to be a wonderful journey. Today, April 25th 2012, I woke up to a beautiful Spring day in Frederick, Maryland. I have loved every minute of my last twenty-one years in USA, so pardon my “lovely” accent . . . My American journey has yet to end! Yes, it is hard to believe! You had an amazing story with your Bambina as well! Sending love your way! Grazie!!! I am glad you like it.